Nelson Mandela keeps his fists raised after he was sentenced to life imprisonment, June 1964. Even while he was imprisoned in an impossibly small cell on Robben Island, Nelson Mandela maintained a physical-fitness regimen. 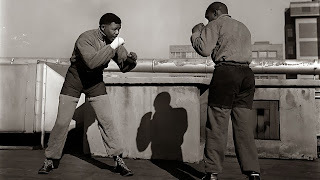 In his younger years, he was also a heavyweight boxer, as depicted in this photo (which was made for "Drum" magazine). It depicts Mandela on the roof of a Johannesburg building. 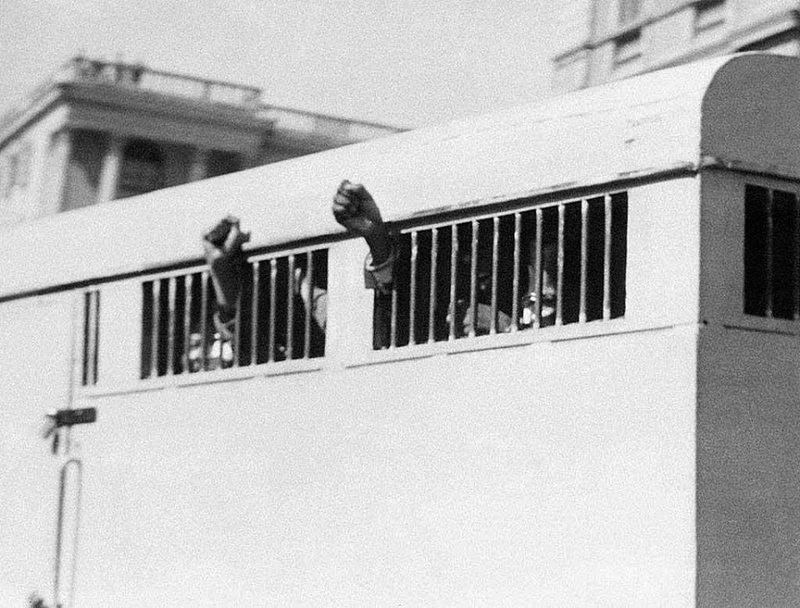 Cropped out of the image is Jerry Moloi, with whom Mandela had been sparring. Mandela had considerable power, however, in other aspects of his life. 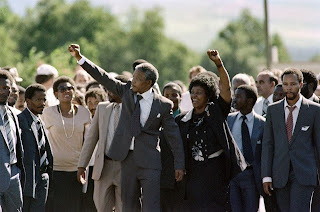 One of his most-respected skills was the ability to maintain his dignity even in the face of unimaginable hardship.